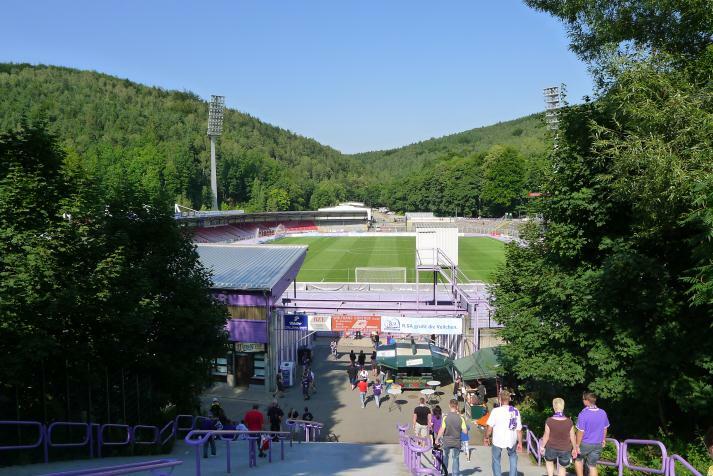 First game in this picturesque location at Zeller Berg’s foot was played in May 1928. 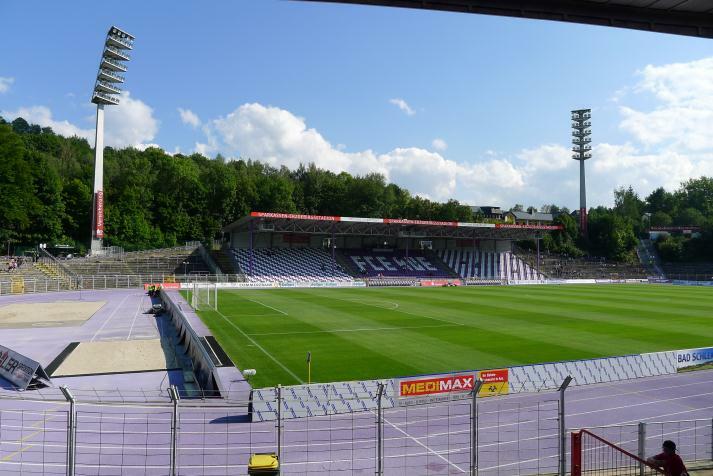 Then it was called just Städtisches Stadion (Municipal Stadium), but after the creation of GDR it took East Germany’s first prime minister’s name, Otto Grotewohl. 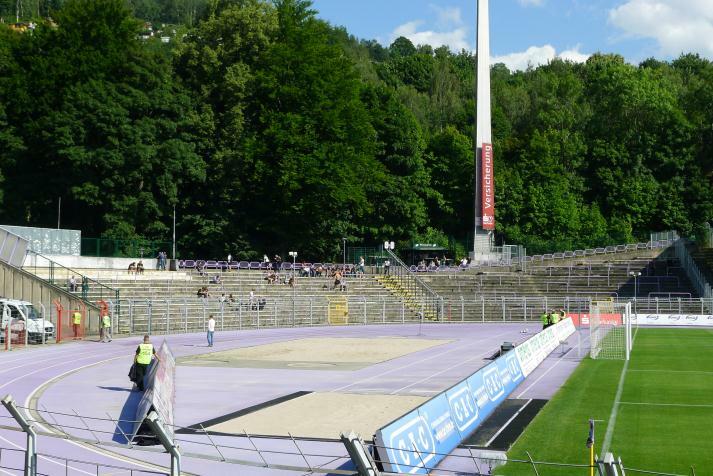 It happened in 1950 with Grotewohl in attendance, when the venue was being reopened after complete revamp. 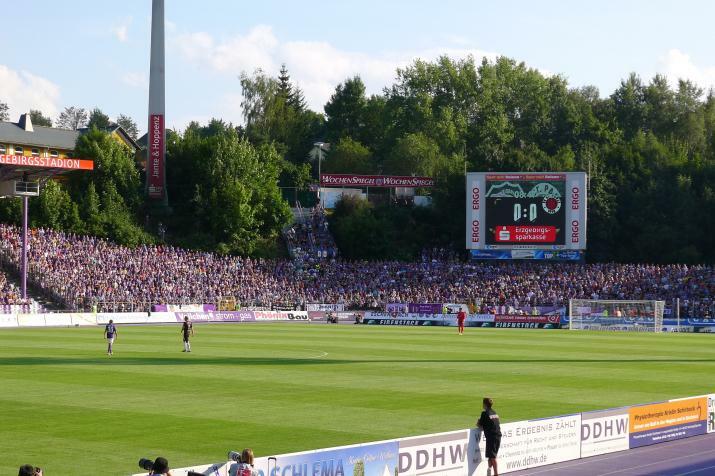 Biggest crowds, often in excess of 20-25,000 where seen here before Germany reunited again. 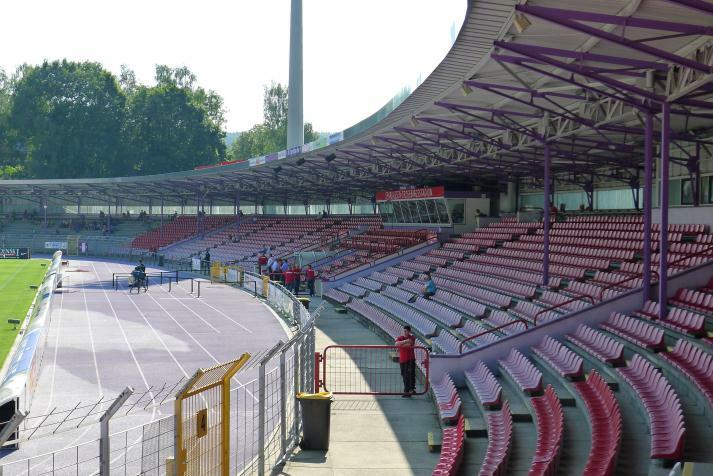 Already in 1958 capacity reached 25,000 and during the 1986-1992 redevelopment it grew again, with 26,000 people watching first game with floodlights here in 1989. 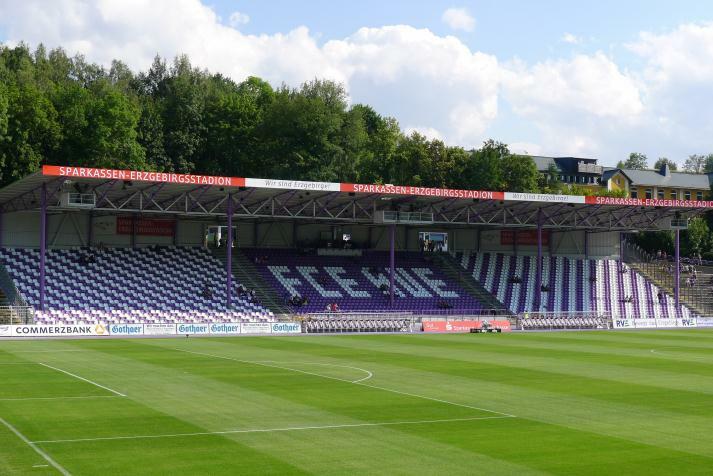 When political situation changed, so did ownership (now municipal) and name, this time to Erzgebirgesstadion. 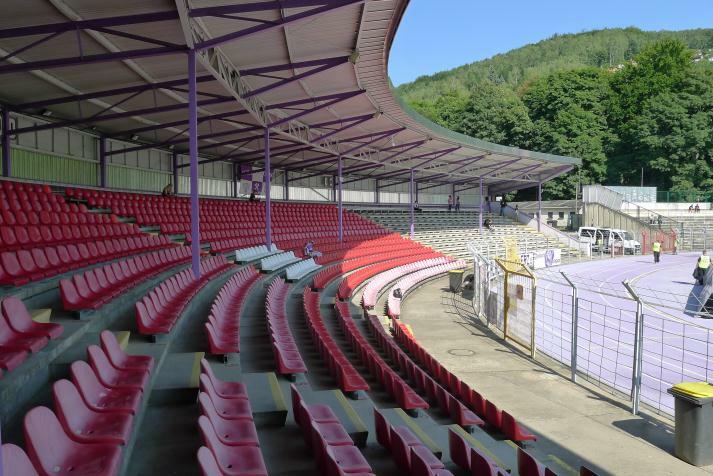 Further changes were made in 2004 with new, purple running track (matching club colours) and in 2010, when southern side was transformed from terracing to covered seating. 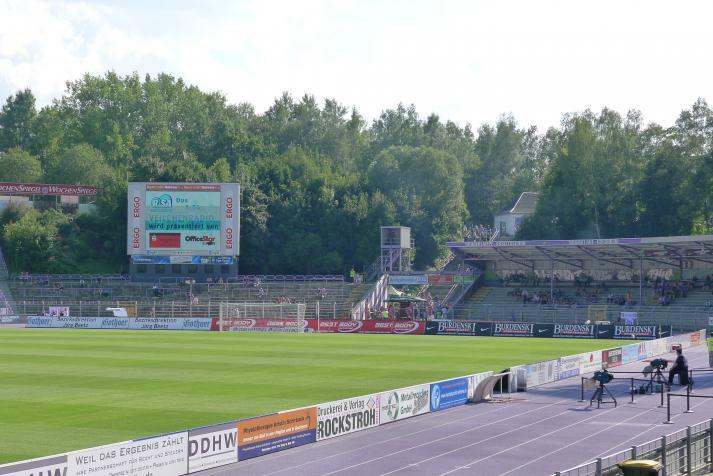 Currently, until 2020, naming rights deal with banking group Sparkassen gives the club €500,000 per year. 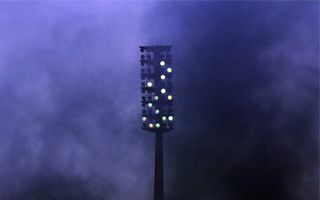 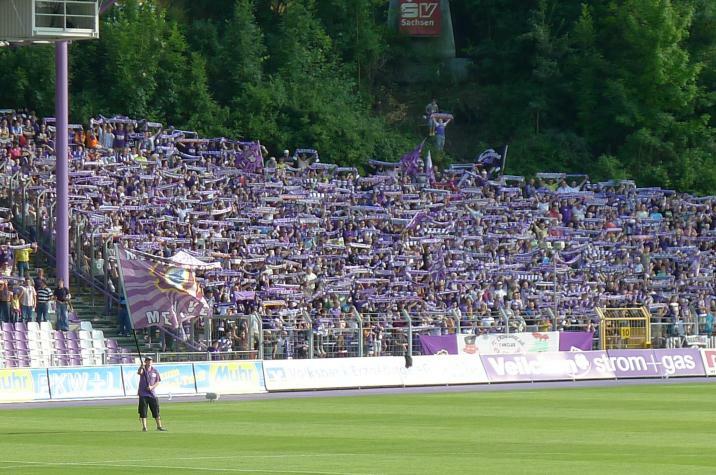 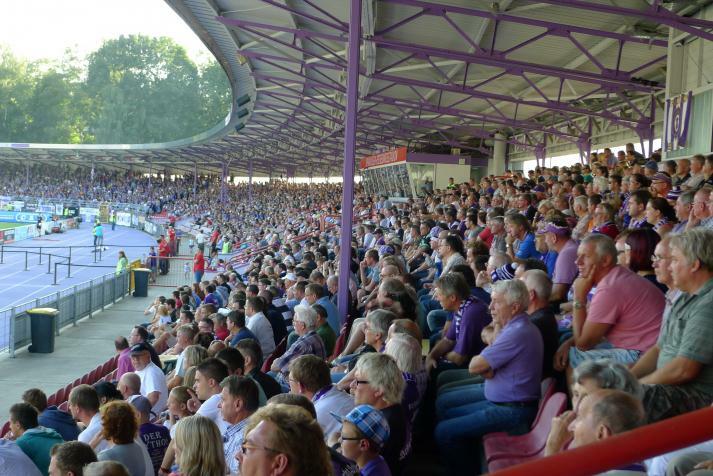 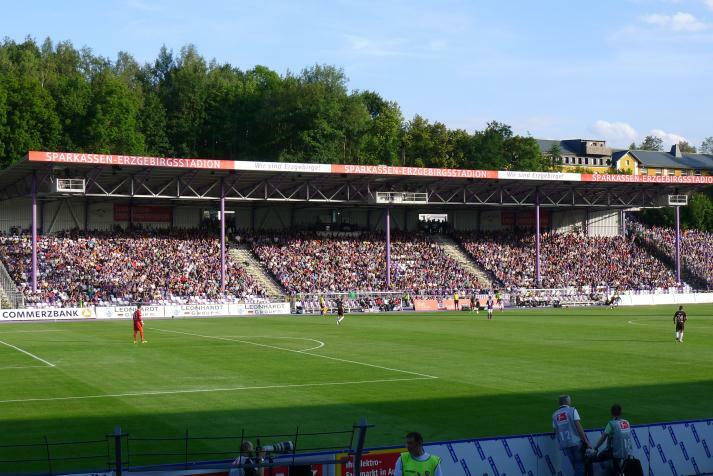 Supporters and players parted their ways with old Erzgebirgsstadion in Aue. 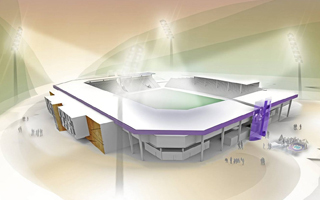 After 87 years since opening the venue will undergo its second major reconstruction in the next two years.